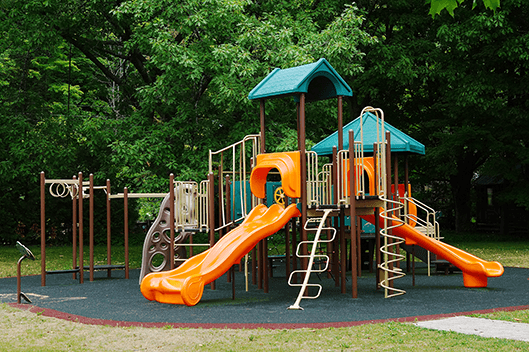 Mono has nine parks - seven run by the municipality, one operated by the Credit Valley Conservation and one by the Ontario Ministry of Natural Resources. Another Provincial park is also being developed in the area. Island Lake Family Park consists of 18-acres of parkland overlooking picturesque Island Lake. 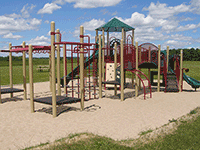 Located on the west side of 1st Line in the new Island Lake Estates subdivision, this park houses a new multi-age play structure and is a great place for the kids to play and parents to relax. It also houses a regulation size beach volleyball court which is available for public enjoyment and league rentals. This 3-acre park is on the Thirty Side Road east of the Seventh Line. It houses a baseball diamond complete with backstop and bleachers. A new picnic shelter, picnic tables and 2 horseshoe have been added. Madill Meadows consists of 3.5 acres of parkland located on Madill Drive in Devonleigh Estates. This park houses new playground equipment for 2-12 year olds, a lit multi-purpose pad (with an outdoor skating rink in the winter months). Open space allows for the informal playing of soccer, baseball and kite flying. Parking for six vehicles. 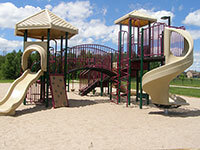 Located in the hamlet of Mono, Mono Centre Park is approximately 15 acres in size. This park includes playground equipment, a multi-purpose pad with 2 basketball hoops, 2 tennis courts (you need a key for access), baseball diamond, open playing field, tobogganing hill and natural outdoor ice rink. One of the Town's community centres is also located in this park. The other community centre is the Monora Park Pavilion. Mono College Park is 15.3 acres in the Cardinal Woods subdivision at the northwest corner of Highway #10 and County Road #16 (across the highway from the Hockley Road). 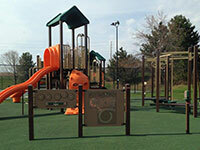 It has playground equipment, two public tennis courts, baseball diamond, sheltered seating and playing field. 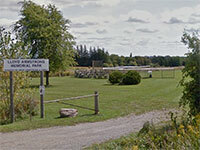 Monora Park, located on the west side of Highway #10 behind the Volkswagen car dealership, is a 40-acre natural park complete with 18 kms of walking trails, x-country ski trails, picnic shelter, gazebo and open playing field. The Monora Park Pavilion is also located in this park and is the second of Mono's community centres. The other community centre is the Mono Community Centre. Map of walking trails. Purple Hill Park is 4 acres on Ashwood Drive in the Purple Hill subdivision. 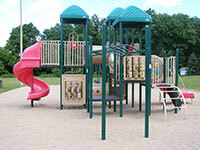 The park has extensive playground equipment, picnic tables, benches and open playing field. 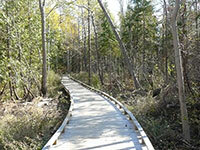 The Island Lake Family Trail, is a 1 kilometre multi-use trail through the beautiful Dufferin Forest. The trail connects to the Vicki Barron Trail (2.7 kms) at the picturesque Island Lake Dam. A perfect walk for the entire family. The entrance is located on Hockley Road across from the Mono-Amaranth Public School. Owned and managed by the Ministry of Natural Resources, this park of over 1,300 acres is home to many rare plants. Consequently, activities are strictly controlled, as set out in the recently completed Management Plan. 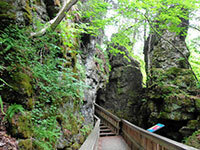 Situated in the Second and Third concessions EHS between the hamlet of Mono Centre and the Twenty Five Side Road, the park encompasses part of the Niagara Escarpment. The entrance to the park is on the Third Line EHS between the Mono Centre Road and the 25 Side Road. Hiking (Bruce Trail) and cross-country ski trails are well-maintained in terrain which is spectacular year round. 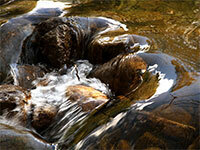 Hockley Valley is part of the Niagara Escarpment which was created by a long process of erosion. The Nottawasaga River cuts a picturesque gorge across the escarpment. Forested moraines and open meadows lie upstream, and swamp and bottomland forest spread across the valley floor, stretching for several kilometres. Hockley Valley is part of the Niagara Parks System, and the Niagara Escarpment Biosphere Reserve. There are no visitor facilities, but Hockley Valley provides good opportunities for hiking and nature appreciation. The Bruce Trail, as well as several side trails, wind through the reserve. Island Lake Conservation Area - Over 670 acres of conservation land, including the lake, with access from Hurontario Street north of Buena Vista Drive. Home of the annual Bass Derby and the Island Lake Rowing Club (call 941-3861). 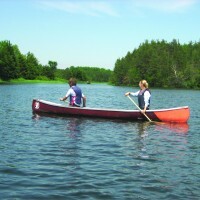 Fishing in summer and winter, boating - your own or canoe rental. Trails for hiking and skiing. Bookings taken for company picnics, etc. 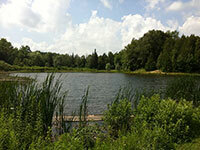 This park is owned and operated by the Credit Valley Conservation.